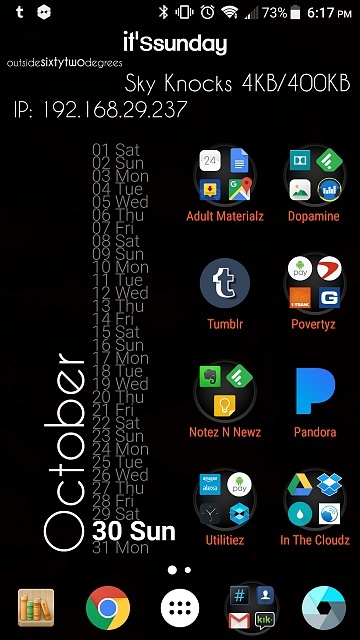 About time we had a home screens thread! All the other phones have a home screen thread, why not us? Mine's not a great start since I go for utilitarian minimalism but it works. 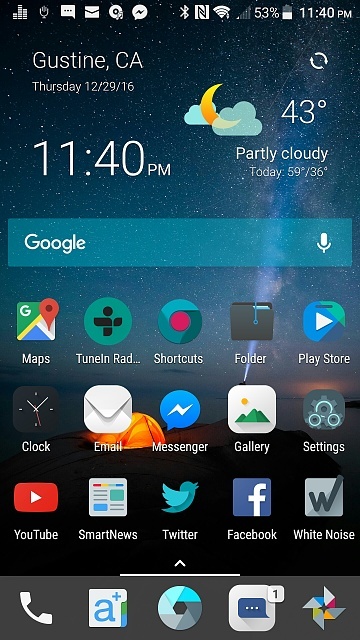 The zooper widgets open either textra or the dialer when tapped with nova gestures opening the notification shade or google voice. I tend to change mine quite a bit. Here's what I am going with right now. Taken at Castle Leslie, County Monaghan in Ireland. mchi5 and Morty2264 like this. Using nova launcher in combination with kustom live wallpaper(klwp). Pressing the battery changes the panel on the left from calendar to apps I have set. Home key launches app drown on second press via nova settings. Map refreshes as my location changes. Music player show album art while music is playing and is transparent when not play. Battery circle changes to green while charging. Clock opens up to my alarms. Which launcher are u using ? I was rooting around this forum page looking for a screenshot topic - thanks for sharing your screenshots, guys! They're awesome! Question about Verizon Pixel XL with unlocked bootloader. Is this a screen problem or something else ? 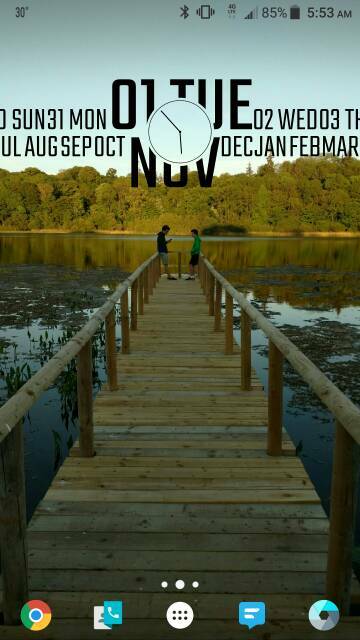 Every time i press the home button my wallpaper resets. why?